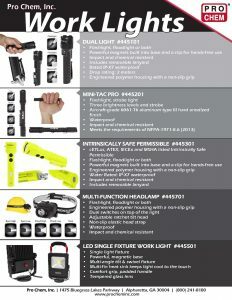 MULTIPURPOSE LED WORK LIGHT | Pro Chem, Inc. This rechargeable, MULTIPURPOSE LED WORK LIGHT is designed to make work easier. 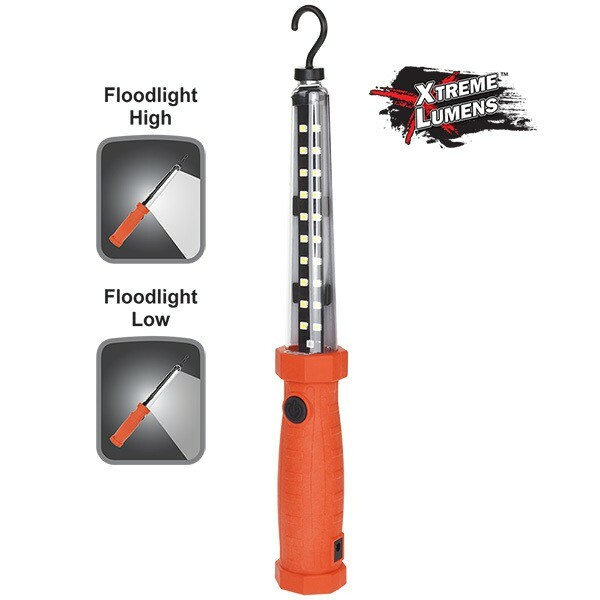 Its super-bright, hands-free features make it a must have for any vehicle, toolbox or work area. With a single push button, you never have to struggle to find the on/off switch. The flat bottom makes it easy to stand on most flat surfaces next to what you are working on and keep the light focused on what you are working on.